Channels Television reports that the names in the released list include PDP chieftains currently facing charges of corruption and financial crimes. “The PDP has challenged us to name the looters under their watch. They said they did not loot the treasury. Well, I am sure they know that the treasury was looted dry under their watch. Yet they decided to grandstand. This shows the hollowness of their apology,” the minister said. 2. Then PDP financial secretary. Allegation: On the 24th of Oct 2014, he took N600 million only from the office of then NSA. 3. Then national publicity secretary Olisah Metuh. On trial for allegedly collecting N1.4bn from the office of then NSA. On trial for allegedly taking N2.1 billion from the office of then NSA. On Thursday, a Federal High Court ruled that he has a case to answer for allegedly collecting $40 million from the office of then NSA. It was learnt that the decision to release the names is the result of the challenge from the PDP to the federal government. According to Mohammed, the list is not complete and is just a tip of the iceberg. He also noted that some of these cases were already in court. But in replying Secondus, the presidency advised Nigerians to be cautious of what it called the less-than-honest apology offered by Secondus while asking the PDP to return all looted funds. 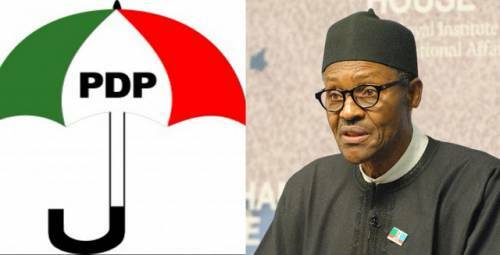 0 Response to "Names of Alleged Looters Under PDP Released, FG Gives Details (See List)"